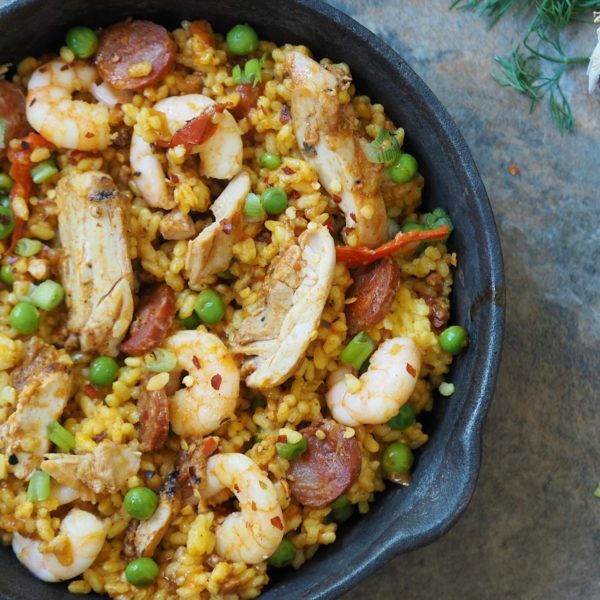 Try our absolutely smashing Chicken, Chorizo and Prawn Paella recipe for dinner this week. Heat 1 tbsp. of olive oil in a large frying pan, then add the onion and sizzle until soft. Add the chorizo and fry for a 2 minutes until it starts to give off its oil. Add chicken breast and fry for a further 3 minutes, then tip in the rice and stir until all the grains are coated. Add the stock, saffron and paprika and stir. Turn down to a low simmer, cover and cook for 12-15 minutes, until the rice is almost tender.